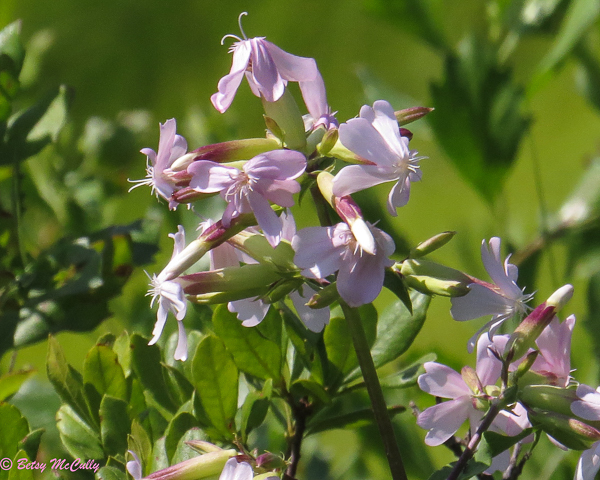 Soapwort (Saponaria officinalis). Caryophyllaceae family. Introduced. Name for this Eurasian introduction refers to its use historically to make liquid soap. Meadows and fields, roadsides. Napeague, Long Island, 2018.